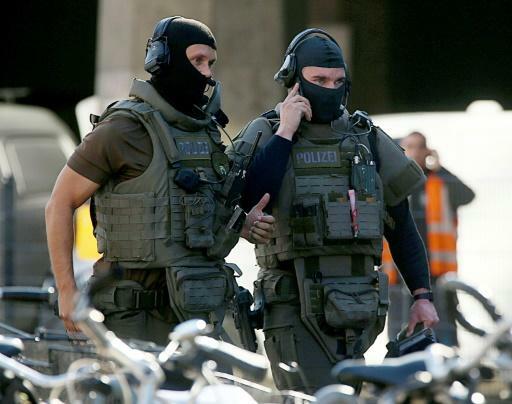 German police said Monday they ended a hostage-taking in a pharmacy in Cologne's main train station, gravely wounding the alleged perpetrator after he himself injured two people. "The motive of the attacker remains unclear," a spokesman said soon after he was subdued. But another victim, a 14-year-old girl, was brought to hospital suffering from burns. They began receiving calls about the violence around lunchtime. An eyewitness told journalists how she heard screams and saw "a girl running for her life" from the cafe with flames spreading up her leg, before she was helped by bystanders. First responders arrived around 12:45 pm at the central station directly next to Cologne's twin-spired cathedral, locking the whole building down. 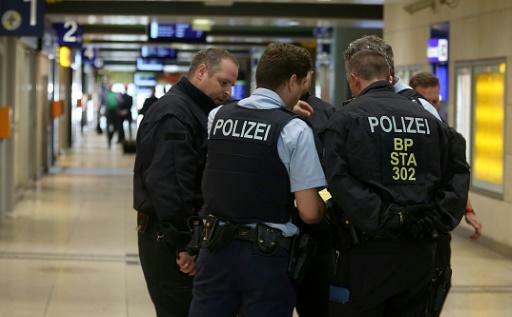 As members of the public were ordered to leave the area as quickly as possible, state rail operator Deutsche Bahn shut down the busy main train station in Cologne -- a major hub for rail travel through North Rhine-Westphalia state and nationwide. Officers initially said they were in contact with the hostage-taker to determine his demands and whether he was armed. "The perpetrator is under control. Police measures are continuing," Cologne police wrote on Twitter just after the special unit assaulted the shop.